Neville: I’m already getting pushback on this, but there are grassroots folks out there initiating recalls. It’s not something we asked them to do. It’s you the grassroots voter out there doing it. In 2013, the same thing happened and people in my position actually tried to prevent the grassroots from doing it. He went on to explain why calls to recall Governor Polis are “silly,” before insisting that there would be other legislative recalls coming. “We spend our money on what we think is the smartest move, and that’s what we’re working on right now,” said Brown. According to RMGO’s most recent campaign finance report, the group has money to spend, thanks to the Neville’s political committee. RMGO’s Independent Expenditure Committee has just over $17,000 in the bank. 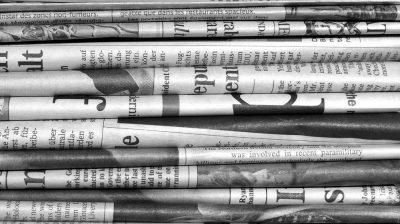 It received $20,000 from Values First Colorado on Oct. 31, 2018. Minority Leader Neville first publicly threatened recalls on January 16 on the KNUS Radio’s Chuck & Julie Show, in response to a proposed “Safe Injection Site” bill that would have allowed cities to facilitate supervised intravenous drug use in order to combat the opioid crisis. 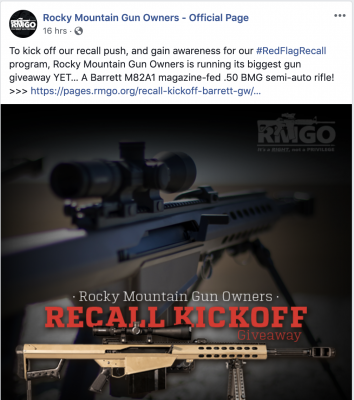 According to RMGO’s Facebook account, the group has been working on recalls since the weekend of March 2 at the latest, when they wrote that would be announcing some recalls “soon.” The “Recall Colorado” website was registered on March 4. 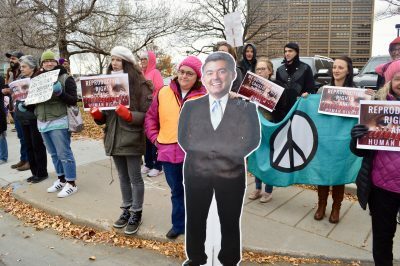 Brown specifically called out Rep. Jim Wilson (R-Salida) for “voting the wrong way,” describing him as “weak-willed” and saying his vote was “idiocy,” but said he didn’t want to name other possible recall targets until after the legislative session because he wants them all to think they might get recalled, Democrats and Republicans alike. 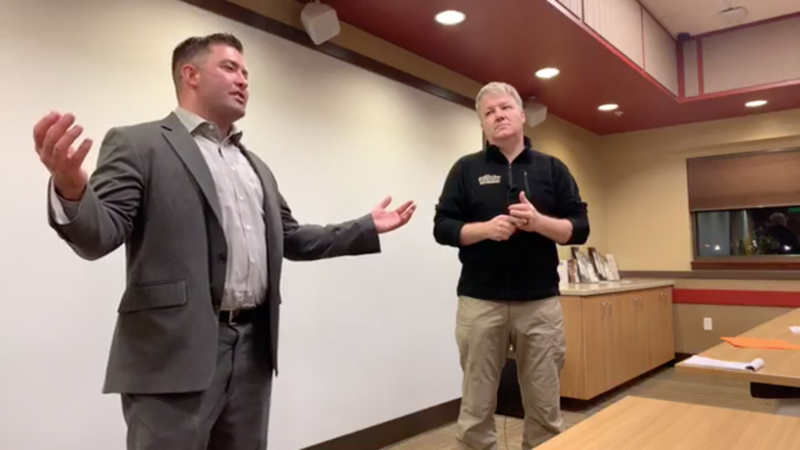 In a subsequent phone call Brown confirmed that he and Minority Leader Neville met with Englewood resident Matthew Anthony, who is interested in recalling Rep. Froelich, immediately prior to the March 8 briefing. 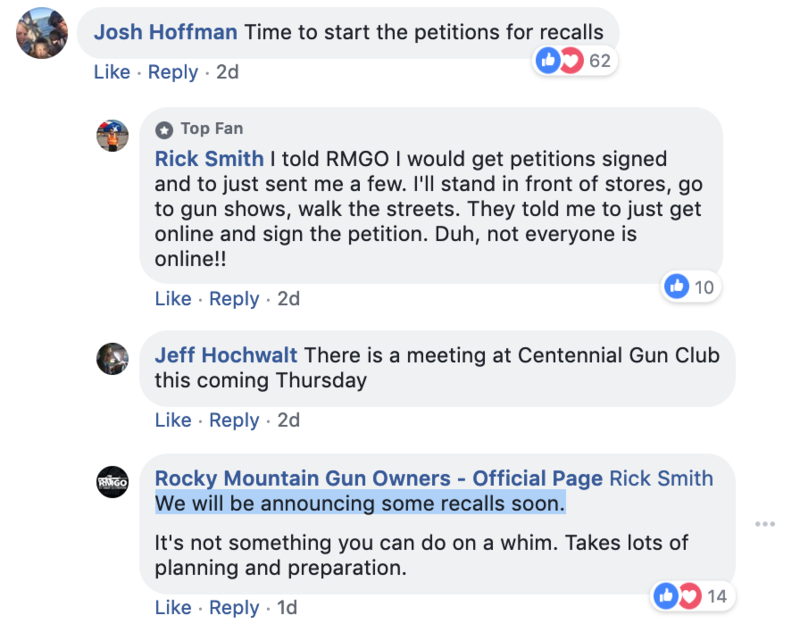 According to the Secretary of State’s office, as of late Monday afternoon, no recall petitions have been formally submitted for approval. This topic contains 0 replies, has 1 voice, and was last updated by Erik Maulbetsch 1 month, 1 week ago.